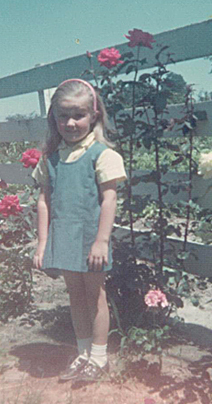 When I was little girl, my late grandmother saw to it that I developed an appreciation for gardening. She loved the bursts of color that nature provided and always had a spread of varying plants/colors that lined the walk to her back door and vegetable garden. I guess she recognized that color could play a huge part in ones mood and bring the most cheerful of expressions to anyone’s face. She always made sure that our family pictures were next to her vibrant flower beds. While she was known for her beautiful roses, she also planted annuals and most often she enjoyed pansies with deep purples and yellows that were deep set with black centers. The contrast of color would wake one up as they strolled by the flowerbed to her back door. However, it would also make a toddler run. Yes, I was scared of those pansies! I thought for sure the black centers were making faces at me every time I walked by — I would walk all the way around my mother to hide from their colorful petals. That seems silly now, but it is interesting what we see in nature and how color plays a part in how we perceive things. Take a closer look around you next time you are hunting for a good color combination to strike a mood. The bursts of color are everywhere — on your drive to work or on an evening walk with your pet, spouse, etc. If we really paid attention… oh, what we’d see!